While there are a number of ways to quit smoking, not all of them are equally successful. In the end, quitting comes down to a personal decision, the amount of willpower you have and a variety of factors affecting your daily life. But if you want the best chance of success, then check out the method that we think you should be trying. We’re talking about an amazing cross-platform app that can help you quit smoking in one of the most amazing ways possible. The app is based on the concept of gamification, offering you dozens of ways to help you get rid of this unhealthy habit. Plus, it works for both phones and tablets, it’s easy to use and designed with smooth UI. Let’s see how it helped hundreds of users across the globe. 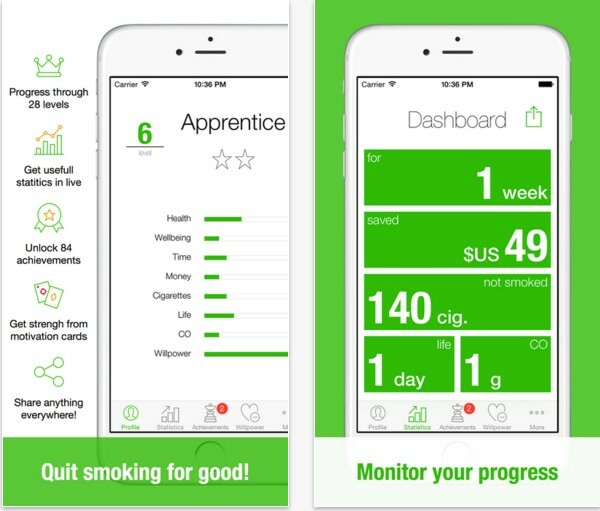 Kwit is a health app that uses all kinds of game techniques, mechanics and motivational tools to encourage you to stop smoking. 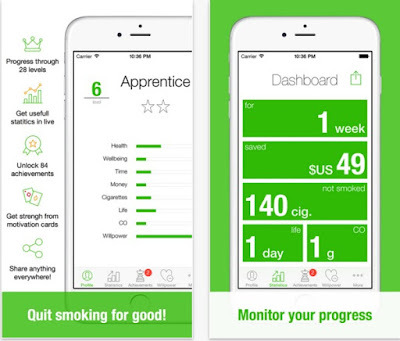 With it, you can keep track of your quitting progress and follow everything with in-depth statistics about how much time has passed since you smoked your last cigarette, how money have you saved and how many cigarettes you haven’t smoked. You can also share your progress on social media, win ranks and cool achievements, draw one of the 200 available motivation cards at anytime you need a boost of motivation, and so much more! Quit smoking for good, live a healthier life and become the ultimate Kwitter! Download this helpful health tool for free from one of the following links that suits your device.